Q1) Please tell us something about yourself. What are your hobbies, interests. Where are you studying currently? My name is Abhishek Kumar. I am pursuing my B.Tech degree in Metallurgical & Materials Engineering from IIT Kharagpur. I am in 4th year. I take a keen interest in politics. My hobbies are reading the newspaper, watching movies, playing cricket and being with my friends. Q2) Which internship did you get the chance to take? What was it all about? Stipend, duration and place? I got three summer internship opportunities in my 3rd year, namely from MITACS Globalink, University Malaysia Pahang and University of Tokyo. I chose MITACS. 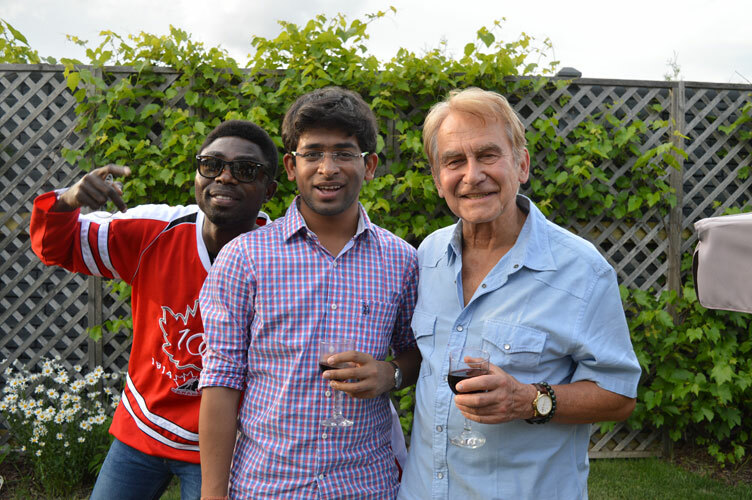 Via MITACS, I did my 12 weeks summer project at University of Saskatchewan in Canada. It was fully funded and I got an amount of around $4200 ($200 weekly+$1500 flight+$200 visa) along with accommodation. Q3) How did you come to know about the internship? To what all sources you kept yourself connected? I came to know about MITACS via my seniors who had already done their internship in Canada. I kept myself updated with the Facebook pages of InternFeel, EduInfo and Internshala. Q4) Tell us about the procedure to apply for the internship. Who all are eligible to apply for this internship? Anyone in the penultimate year with CGPA above 8, can apply for MITACS Globalink. Application is open from August to September of any year. Q5) Any common mistakes which you feel students should avoid while searching and applying for internships? Avoid copying the SOP of others. Be the way you are. Also, refrain from sending mails to professors to ask if you have been selected or not. Apply for the project in which you have an interest rather than choosing universities according to the location. Q6) Let’s talk about how competitive the selection process is. What qualities of yours, you believe helped you in having an edge in the selection process? What key things you feel were looked for by the selectors? Nearly 500 students from Brazil, Mexico, Vietnam, India, China, Saudi Arabia and France are selected. I think this year, MITACS has also incorporated Australia and Tunisia into its domain. Selectors check if you are really interested in the areas you have opted for and if you have done some work in that direction. I was inclined towards working in the Steel industry right from my 2nd year. 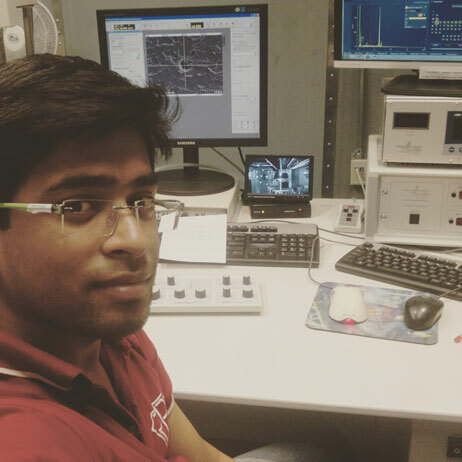 In 2nd year, I did one project on Steel and at the end of 2nd year, I did my summer internship in MECON, Ranchi which was also at a Steel Plant. Moreover, in my 3rd year, I got Ministry of Steel Scholarship from the Government of India. So I think that I was amalgamated in iron and steel. I opted for projects pertaining to steel only, instead of randomly choosing the project topics. And, finally my inclination towards this industry fetched me the golden opportunity of doing my project in Canada. Q7) What preparations did you do after the results in view of the internship? After a month, I booked my flight tickets. In February, when I got my invitation letter from the university and MITACS, I applied for the 3 month work permit. After finishing the paperwork, I focused on strengthening my concepts based on which I would work in summer. Q8) Could you please highlight the work/research project you carried out during the internship period? Its application in near future and your work in it? My research topic was “Mechanism of Steel Failure in Sour Environment”. I was basically asked to prepare a statistical report on different types of morphology of inclusions present in API X70 steel. To arrive at the conclusion, I did SEM, EDS, XRD, TEM, OM, EBSD analysis of 240 microstructures of each 6 API X70 steel sample. I also did simulation work on ANSYS software regarding crack propagation. Results are to be analysed by ESSAR Algoma Steel Inc. to contain the HIC in steel pipelines in sour environment. Q9) What was the best thing about the work culture and the internship? What were the things you liked there? The work culture of Canada is fantastic. Canadians focus on the quality of work rather than quantity. Every Monday, all members of the research group had to present their week-long work and professors and members would suggest to each person how to make the research more result oriented. At the end of every month, there used to be a Potluck party at the Professor’s house. I liked the trust they had in me and that I was not forced to do any work. At the end of every week, all MITACS interns used to party hard, enjoy North America’s night life etc. 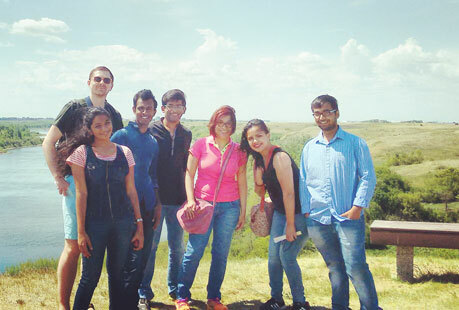 MITACS arranged two historic field trips. Apart from that, we even travelled to other provinces of Canada, and took part in a random and fun mix of activities– sky diving, nearly getting drowned in a water park, trying weird foods & drinks etc. 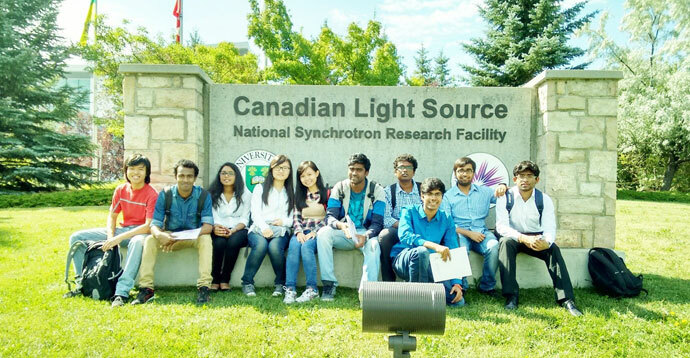 MITACS also arranged a trip to National Synchrotron – Canadian Light Source, which was really amazing. Q11) Let’s now talk about some negatives. What were the glitches and problems that came your way, which you think your juniors would be able to avoid? I didn’t face any problem there. But my vegetarian friends had some issues pertaining to food. Q12) Was this your first internship / training? No, it was my 2nd internship. Before that, I did summer internship at MECON Ranchi and had worked on Steel project at Steel Technology Centre, IIT Kharagpur. Q13) How much difference this internship period made in your intellectual capabilities and mindset. In broad terms what are your gains and takeaways? Living there on my own has helped me in becoming self-reliant. Working there with the international research team helped me in broadening the way in which I think. Mingling with the rank and file of different nationalities made me understand their culture and livelihood. On the whole, I went there as a boy and returned to India like a grown up man. Q14) Advice for juniors? Which can help them in getting internships in their future college life and also advice for making the best out of it. Start working in the area you are interested in. Do work in that direction without wishing for quick results. Have patience. Later, there is no dearth of opportunity provided you have done some quality work. You can get selected not only for MITACS but also in various other programmes – DAAD, SN Bose, Michigan Summer Internship, and Queensland University Programme. Emailing people also opens up several opportunities. Q15) What are your future plans after this internship and how much impact this internship will have on it? My aim is to clear the Civil Services examination. Living away from India in a new environment for three months has me helped in coping with problems alone. So, I hope in future also I would be able to get accustomed to any new environment and working conditions. Yes, InternFeel is doing an effective job in helping the students to get acquainted with internship opportunities in their interest areas, via its holistic database.